Transitioning from brown to blond hair can be subtle or dramatic, depending on how dark your hair is. If your hair is very dark, you may need to take extra steps to get the right color. After all, you probably don’t want your hair to come out looking orange. However, the change may not be difficult if your hair is auburn or honey brown. When buying hair dye, be sure a toner is included in the kit. The toner can help to correct or even out the color so your hair doesn’t come out looking strawberry blond. If you have very long hair, you may need to buy an additional toner. If your hair is long and thick, buy two boxes of hair dye. Brush your hair thoroughly so that you hair is soft and manageable. You don’t want your hair to become tangled or messy. When your hair is straight and even, it is much easier to work hair dye into your roots and all throughout your head. Read the directions that come with your kit. You should always read the directions, because different dyes have different time frames during which the product should be left on the hair. For instance, henna hair dye may need to be on longer because it is more natural. 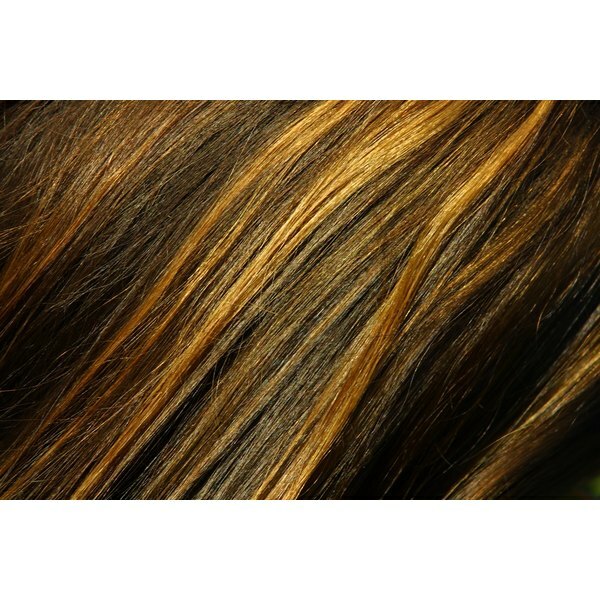 Chemical hair dyes may work faster. Put on the gloves that came with the kit. Massage the hair color into your hair in circular motions until all your hair is saturated. Leave the dye on for the length of time recommended on the box. Rinse your hair with cool water. After all the hair dye is washed out, apply a toner to your hair and leave it on for a few minutes according to the directions. If your hair is very dark, you may need to repeat this step. Wash the toner out. Your hair will be very dry from the hair dye. Be sure to apply conditioner to your locks and then rinse again. If you have never colored your hair before, you may want to ask a friend or family member to help. They can check to be sure that the color is spread evenly throughout your hair, along with checking to be sure you don't skip any steps. If your hair still comes out orange even after applying a toner, go to a salon to have the color corrected. If you notice red patches or any irritation on your skin, wash out the hair dye immediately. You may be having an allergic reaction. How to Turn Orange Highlights to Dark Blonde?